Walter Schels was born in Landshut in 1936. He worked as a window decorator in Barcelona, Canada und Geneva. 1966 he went to New York to become a photographer. 1970 he returned to Germany and worked in advertising and for various magazines. 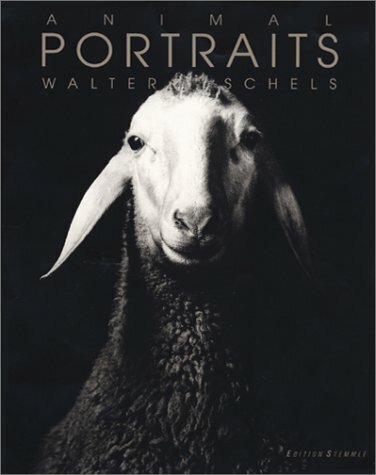 Walter Schels became well-known for his portraits of artists, politicians, philosophers, celebrities - and animals as well. He had a milestone experience back in 1975, when he was asked to document a birth for "Eltern" (Parents) magazine. "That's when I saw the face of a newborn child for the first time. But it wasn't a faceless being; it had an aged, knowing face with a past." 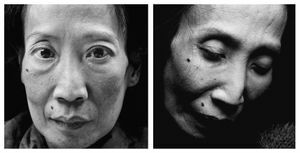 Since that time, Schels had focused on faces and on observing the human existence in extreme conditions. 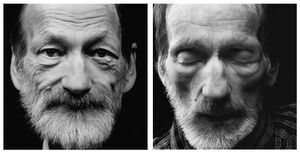 Walter Schels has received many awards, including international accolades such as the "Zeitenspiegel" agency's "Hansel-Mieth-Prize" for his series which shows hospice patients short time before and immediately after their decease. 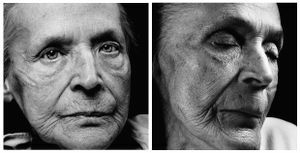 For this photo series the "Art Directors Club of Germany (ADC)" honoured Schels with its Gold Award. 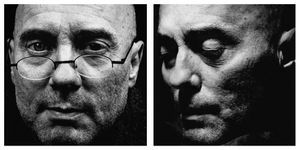 In the "World Press Photo 2003" competition, he won a second prize in the category "Contemporary Issues", and he received the silvery "Lead Award" for the "Portrait Photograph of the Year" from the "Akademie für neue Bildsprache" in 2004. 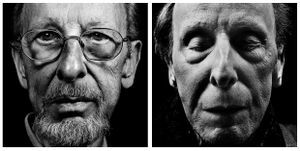 Walter Schels is member of "Freie Akademie der Künste" in Hamburg, honorary member of the Association of Freelance Photo Designers (BFF) and Hasselblad Master 2005. He has published many books and held numerous exhibitions. 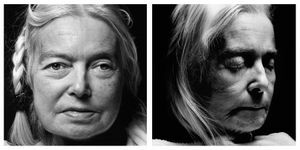 A stunning series of portraits of people — shortly before and just after they die — is touring Europe now, and tackling one of the biggest remaining taboos in Western societies. 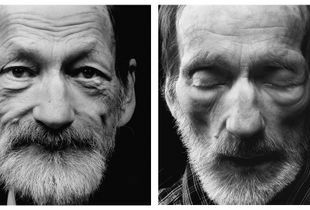 Photos by Walter Schels, text by Beate Lakotta.